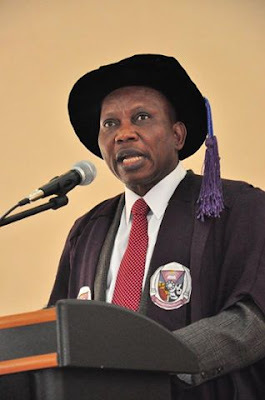 The Vice Chancellor, Federal University of Agriculture, Akure (FUTA), Prof. Adebiyi Gregory Daramola, has decried the nation’s unemployment rate which he puts at between 21 and 30 per cent with 23 million unemployed youths, NaijaAgroNet reports. He added that agriculture had gone beyond the primordial struggle of the past as it has become a high employment-creating and income-generating avenue, urging the youths to look into the entrepreneurial aspect of the sector which he listed to include product supply, farm production, product processing and product distribution. Daramola urged development-oriented agricultural policies to make the sector address the malaise head-long. He contended that if the sector was made workable, the issues of rural-urban migration, conflicts, poverty and increased criminal activities which were associated with joblessness would be effectively tackled. According to The Guardian Prof. Daramola, called on the three tiers of government to enthrone a conducive environment for agribusiness as a most variable platform to creating jobs for the teeming unemployed youths with a view to addressing the ‘alarming’ rate of unemployment plaguing the country, NaijaAgroNet learnt. Delivering a lecture titled ‘‘Agriculture: A Panacea for youth employment in Nigeria,” Daramola urged stabilisation of power supply to enable existing industries produce to their optimal level, just as he called for further strengthening of the nation’s school curriculum to make the youths agriculture-enthusiastic.